Once crystal clear, the holy Bagmati flowing across Kathmandu Valley today is one big dumping site for garbage. What used to be a destination for pilgrimage is now a filthy stench-filled sewer. In hopes of reviving the enthusiasm for change and the river itself, Cuban-American artist Alberto Rey and American graphic designer Jason Dilworth have come together for the unique Bagmati River Art Project. Fourteen paintings of the Bagmati as seen from Sundarijal, Gokarna, Guheswori and Chobar have been put together after an extensive field trip with a team of scientists earlier this year. The exhibition on the 20-23rd of November at Siddhartha Art Gallery will feature paintings by the duo along with works of Kathmandu University students and other visual-media art forms. 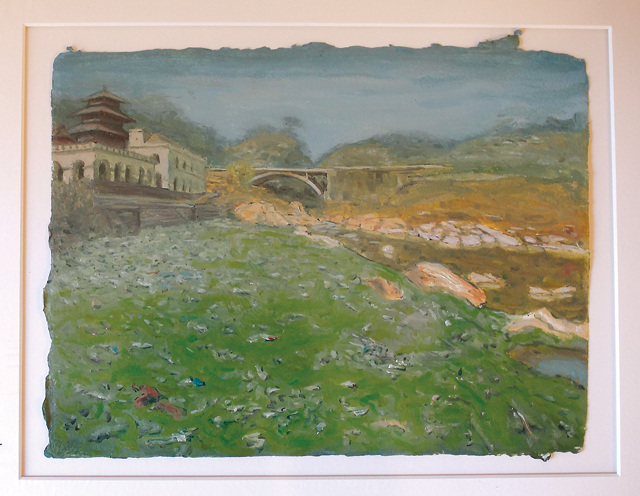 As an artist who has been dealing with contemporary issues, including environmental woes, Rey’s artworks of Bagmati do not paint a grim and grimy picture. His approach is rather to make the artworks aesthetically pleasing, giving viewers a certain exotica when seen from a distance. “It is very easy to make something ugly look ugly. But if it is not attractive, people are going to dismiss it. How can you then seduce the viewer to look at the painting?” asks Rey rhetorically. The artist compels viewers to view the images more closely, eventually leading them to spot minor details that really portray what the Bagmati really is. To fully comprehend the crisis of the Bagmati, the artists have paired their work with charts. These colorful graphics carry core data from the Bagmati River Expedition 2015 to show the impact of pollution on the river. What motivated Dilworth was the need to make the audience empathise with the data rather than take it as yet another fact-based finding or get completely lost in scientific jargon. “This hopefully will cause them to pause,” he said. The multimedia project also includes a documentary and a book, which also comes with Nepali translations that detail the history, cultural significance, policies and future challenges for the Bagmati. Having sifted through more than 200 government reports and research papers, Rey and Dilworth’s objective has been to make the information available to the public. 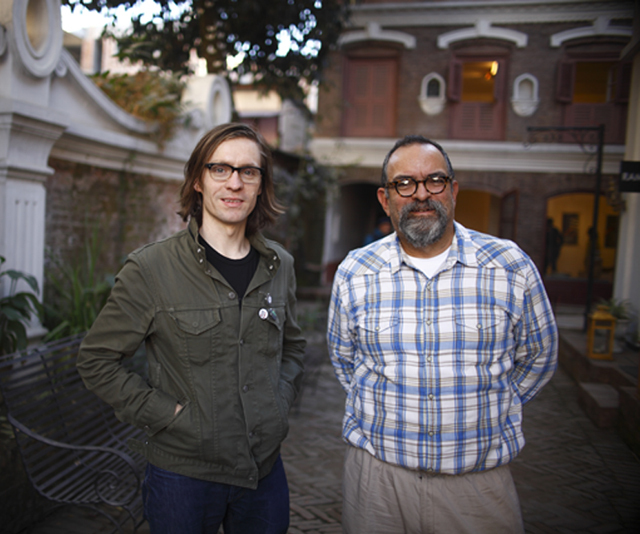 “Art has a way to make important information accessible to the public in a way that they are more likely to want to know about it,” said Rey. After the three-day exhibition at the Siddhartha Art Gallery the exhibition goes on a tour of major cities in the United States. “When people think of Kathmandu it is either as a mystical or backward place. But this project shows that it is like any other river in America,” said Dilworth. Believing that there is still a lot that the international community has to learn from Nepal, especially when it comes to community efforts to clean up the Bagmati, the artists are optimistic about restoring the river to its former glory.